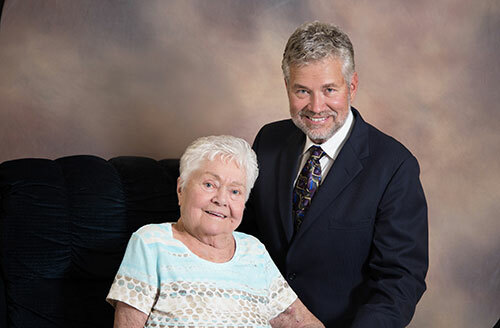 Built in 1973 by the Perlebach family, Holmes Lake Rehabilitation & Care Center has been serving the skilled nursing and rehabilitation needs in the greater Lincoln area for more than 40 years. Our goal is to provide the finest personal care in a safe, clean, comfortable, and home-like environment. Our center is a Medicare and Medicaid certified facility and is considered a preferred provider by most insurance plans. We have been awarded a Five-Star Rating by the Centers for Medicare and Medicaid Services. We are licensed by the State of Nebraska as a Skilled Nursing Facility. The legacy of Holmes Lake Rehabilitation & Care Center is the environment of love and compassion by our caring and experienced staff. Our family values have kept Holmes Lake Rehabilitation & Care Center serving the community for more than four decades. Thank you for considering our Home! Holmes Lake Rehabilitation & Care Center has a Five Star Rating from the Centers of Medicare and Medicaid. We offer Rehabilitation, Post Hospitalization, Long & Short Term Care, and Hospice Cares. Hospice is a minimum charge of 7 days. Payer Sources are Medicare, Private Pay, Insurance, and Medicaid. Level of Care costs in addition as well as some incidental charges may occur. Please contact Social Services Director, Admissions Coordinator or the Administrator if you would like a tour or have additional questions. Thank you so very much for the loving care all of you provided to our grandma. You were attentive not just to Grandma’s needs, but to ours as well. Several family members are health care workers, and we were impressed with the exceptional care provided to Grandma and to our family. We so appreciated your standards of quality care. Our mother is a resident of Holmes Lake Rehabilitation & Care Center and we have been very pleased with the care she has received. We are kept up to date with cares, any medicine changes, doctor’s orders or just daily routine. You have given us peace of mind in the care of our mom. Your entire staff was fantastic and we very much appreciated everything you did in the short time we were there. If you would ever want a testimonial I would be glad to provide one. Thank you. Thank you for caring for my husband and for helping us in so many ways. Truly, we chose the best care facility in Lincoln! I am grateful that there was a room for my mother at Holmes Lake Rehabilitation & Care Center when she faced some challenging health issues. From the moment we walked in the door of this very clean and welcoming environment, it was reassuring to see their genuine concern and commitment for her welfare. Today, my mother is thriving thanks to the delicious meals and dedicated professional staff. Words cannot express how comforting it is to know we made the right choice for her future.